Gas furnace repair and heating maintenance in Prescott provided by Prescott Air Conditioning and Heating RepairAs the monsoon season comes to a close, people start to enjoy the outside weather a bit more, but they are forgetting one important thing. The cool mornings are great for sitting on the porch with your coffee and evening walks are a great to discover many of the area’s paths, parks, or attractions. Before you know it, cold weather is going to be setting in, and the holidays are going be upon us. Prescott Air Conditioning and Heating repair would like to remind you (before you forget and get busy) to schedule your heating maintenance to head off any issues during the upcoming winter season. 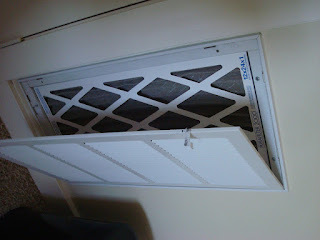 Dirty filters: Dirty or clogged air filters reduce airflow. Your heating system must work harder, and in some cases, a clogged filter may damage the limit switch that controls the fan. Wear and tear: Normal wear and tear can even cause airflow problems. Common use issues are heat control-related problems or even overheating. Electric ignition or pilot control problems: A faulty ignition switch or pilot could make it difficult for your furnace to operate correctly. Thermocouple issues and drafts or clogs in the ignition control system cause the pilot light to not stay lit. Thermostat: A malfunctioning or faulty thermostat can lead to problems with the fan or heating levels causing hot or cold spots. No heat at all: A furnace that doesn’t heat at all may have problems with the thermostat setting, power, gas or the pilot light. Frequent cycling: Cycling between “on and off” may indicate a clogged filter, improper airflow or a bad thermostat setting. Blower continuously running: Blower issues may indicate a problem with the limit switch. The furnace is too noisy: Rumbling, squeaking and rattles aren’t normal. The sounds may indicate a mechanical problem, airflow reductions or a clogged burner. Not enough heat: Many times we find that the unit is not large enough for a space that has been added onto. Adding additional space will increase the size of the unit requires to heat the area.